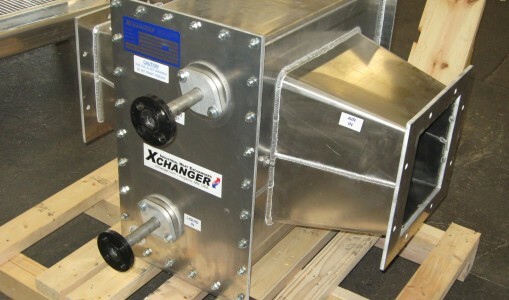 Photographs below illustrate some typical users of Xchanger heat exchangers. Preventing sugar from caramelizing and plugging pneumatic conveying lines with aftercoolers on rotary lobe conveying blower discharge. Conditioning (cooling, dehumidifying, reheating and HEPA filtering) air to keep systems sanitary and free of product degradation. Cooling process water and lube oil for paper rolls. 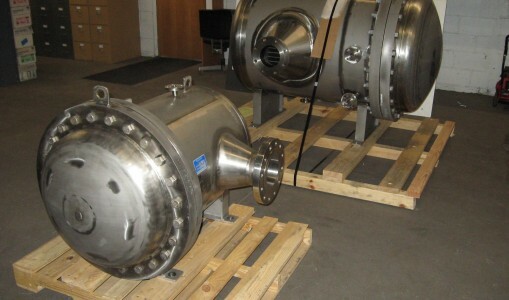 Aftercooling air-separation blowers to maximize zeolite efficiency. Precooling soil vapor extraction activated carbon beds to maximize their efficiency. 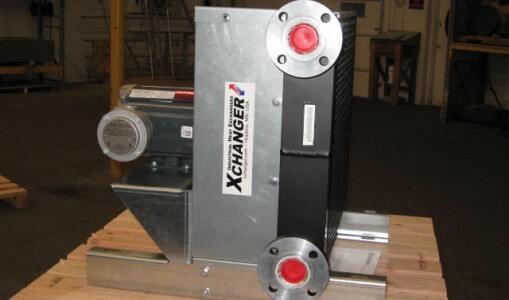 Increasing engine efficiency and service life of by cooling charge air (i.e. turbocharger aftercooling). 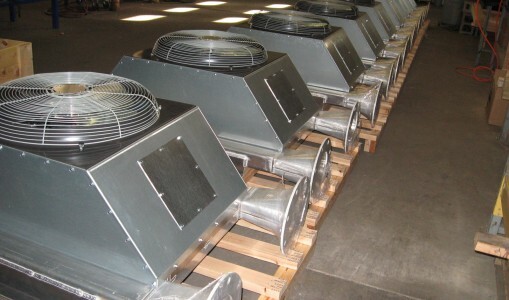 Heating fan exhaust on strip dryers in hot-dip galvanizing sheet metal lines. Heating and cooling medium vacuum air to simulate reentry in earth’s atmosphere. Protecting downstream vacuum pumps from over-temperature with intercoolers in multi-stage vacuum pump systems. 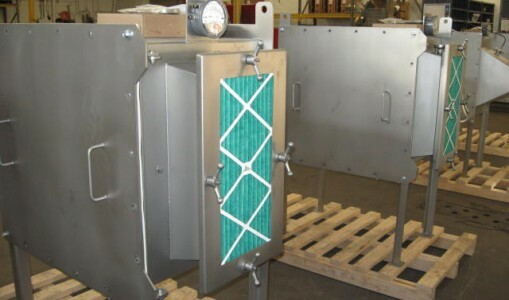 Air cooled aftercoolers prevent “angel hair” that is formed when pellets are conveyed with hot air. 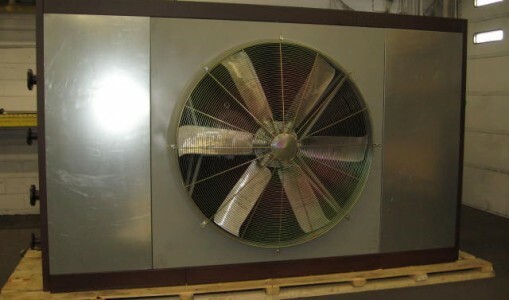 Blown film coolers for air rings. 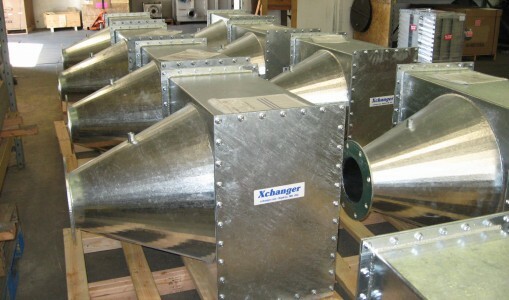 Aftercooling transport blowers well below the melting point of inexpensive PVC pipelines and protecting piston and turbine power generation engines by dehumidifying biogas. Aftercooling aeration blowers to promote the growth of microorganisms that metabolize organic waste. Cooling turning bar blowers on web presses to prevent ink-smearing on freshly printed paper. Condensing harmful regulated volatile organic compounds (VOCs) to prevent them from escaping storage tanks and reactor vents. 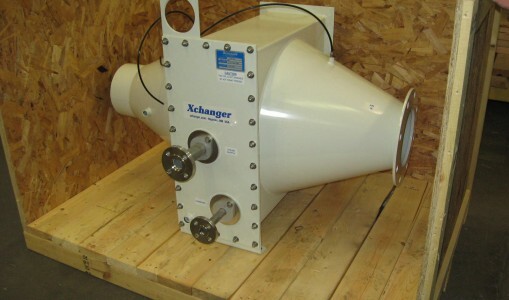 Cooling gas booster blower discharge to enable the use of inexpensive PVC pipe to transport these gases. 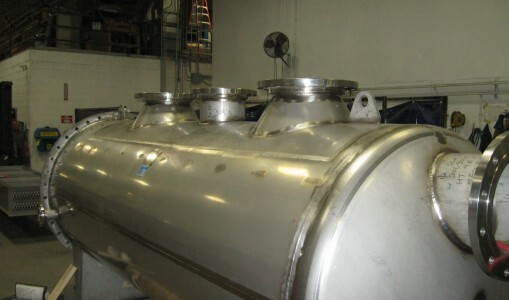 Aftercooling pneumatic conveying blowers to keep the flour’s temperature constant which avoids “sweating” and subsequent condensation and mold in storage bins and rail cars. 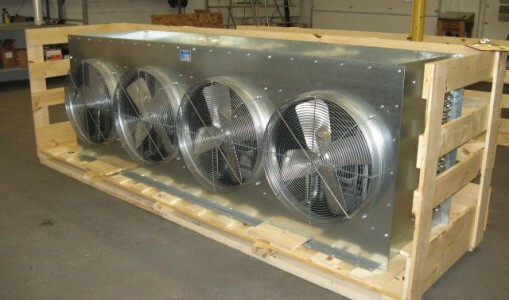 Our steam heaters are used to heat air that dries flour.